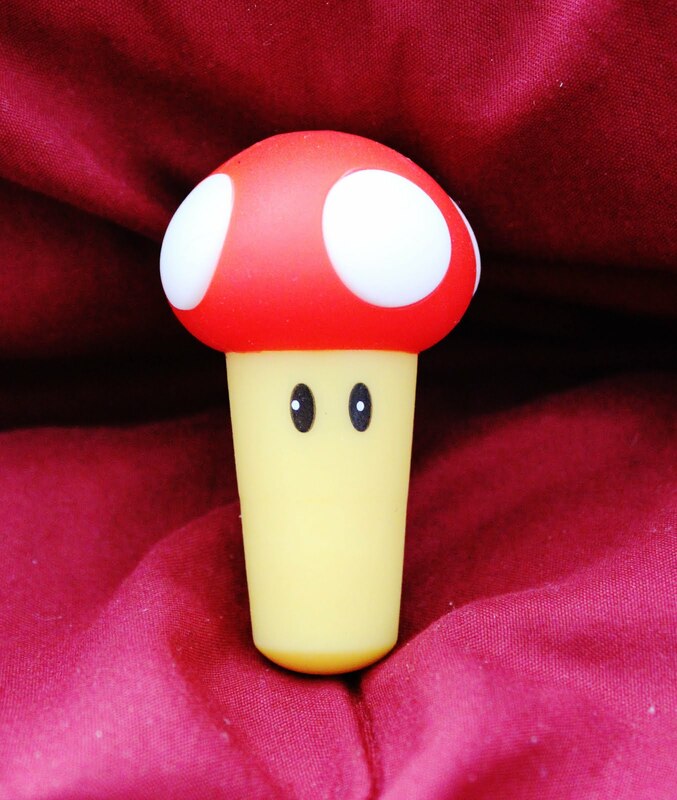 After a surprisingly long break, Talking Tiny Toys is back! Hopefully this time around I can bring you a more consistent, wider variety of reviews. First up is my new foray into subscription boxes. 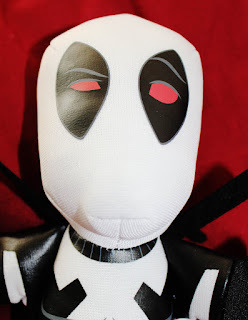 Today I'm taking a look at the February Nerd Block! We all know I'm a sucker for blind boxes, and subscription boxes are really just giant blind boxes, right? It took me awhile to decide which one to get but Nerd Block seemed to have the right amount of stuff for my particular brand of nerd. 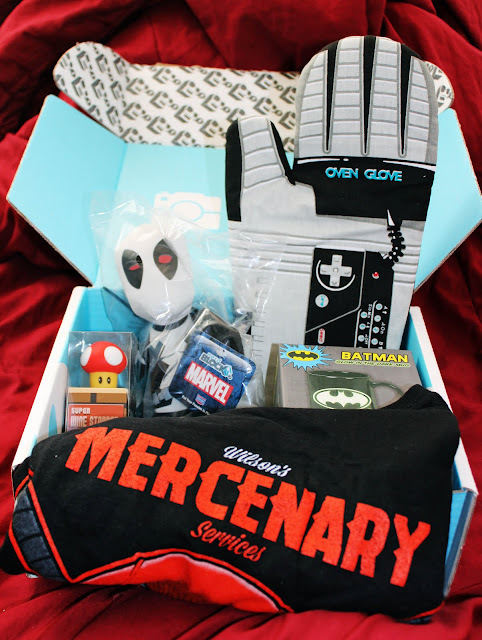 Each box comes with a toy, a t-shirt, and a bunch of other smaller surprises. This month, we were promised a Deadpool exclusive, something from Nintendo, and something the Dark Knight fans would enjoy. What did we get? Let's find out! I'm renaming this box "Deadpool in the Kitchen"
I'd say that a pretty good haul. Subscriptions boxes are always a bit of a risk, especially with the Canadian dollar being worth a hand full of sand at this point. For me, a successful box comes with something I'm really excited about, something I wasn't expecting, or something bizarre that I'm surprisingly happy to have. This one checks all those boxes. The reason I was looking forward to this month's subscription was because it was promising me Deadpool. The movie was a hit. Ryan Reynolds proved that the third comic book movie attempt can be a charm. While I'm not a die hard Deadpool fan, the character is fun, has had some great books (loved Cable & Deadpool) and brought something a little different to the comic book movie landscape. Plus, I don't have any Merc merch, so whatever the box contained was good for me! My block came with the X-Force costume Deadpool plush. Pretty cute, right? 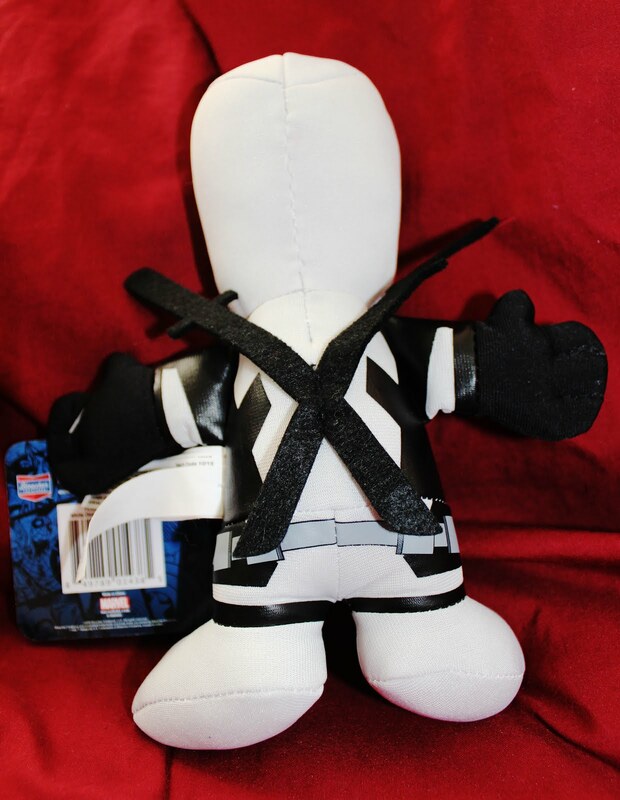 I rarely buy plushies but I really enjoy this one. It's simple but has all the right details. Would I have preferred a vinyl figure? Of course, but these boxes are a chance to get something you wouldn't normally buy. 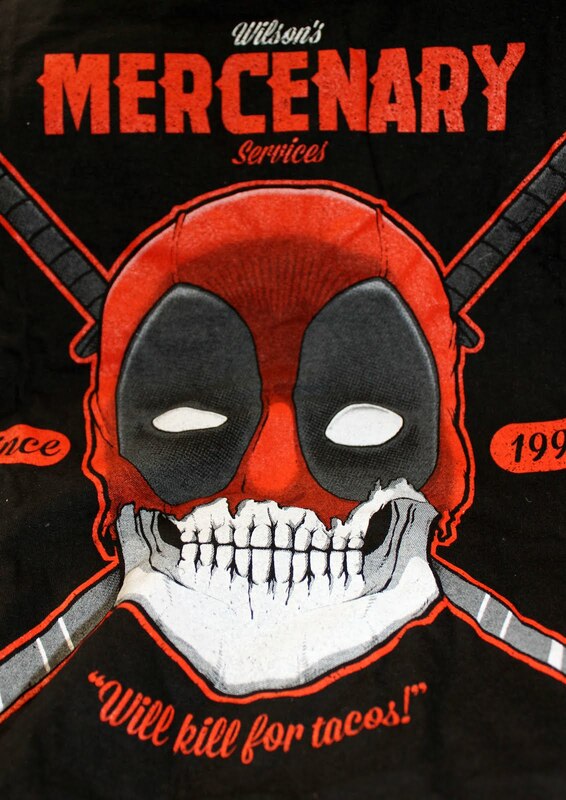 The second Deadpool item is a pretty great t-shirt that sums up the character in a nutshell. The t-shirts are really the reason I don't mind paying for these boxes. They're interesting, fun, and enhance my con-going wardrobe. This one has great colours and a striking image. Some days I would kill for tacos too. 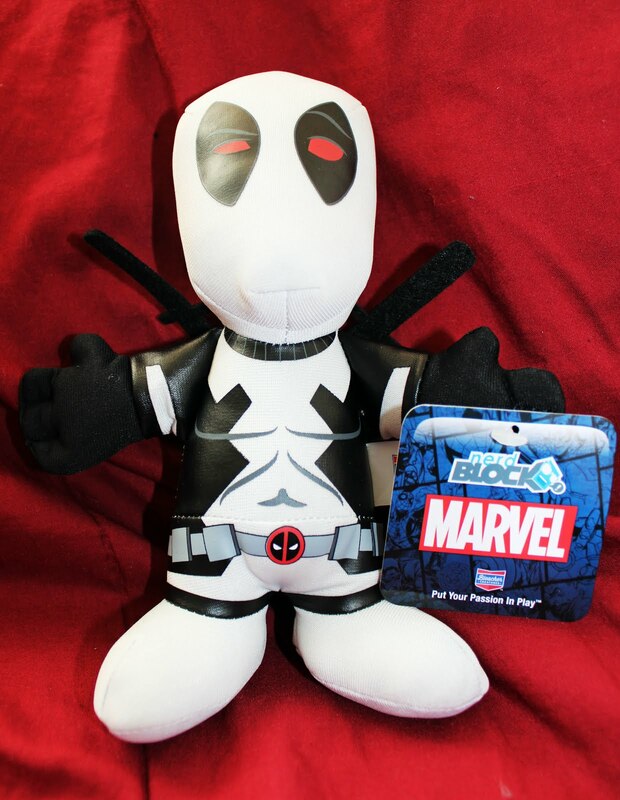 I was excited for Deadpool, but had a pretty good guess the box would have something similar to what we got. I would never have guessed I would own this next item in a million years. 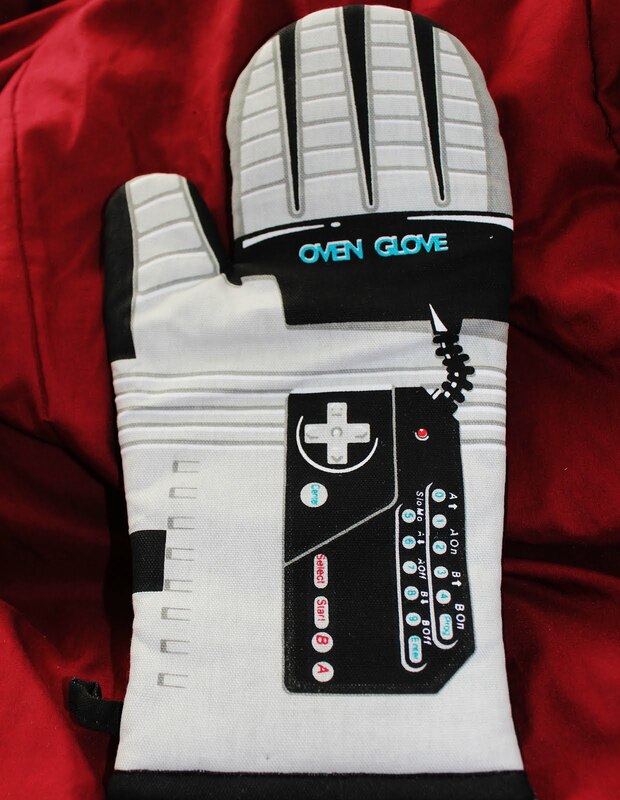 Yes folks, I am the proud owner of a Nintendo oven mitt! Why does this exist? No idea, but I'm happy to have it. If truth be told, I could actually use a new oven mitt but keep forgetting to buy one. It's quirky and fun but also useful! Nerd Block is attempting to make me an adult. Baby steps. 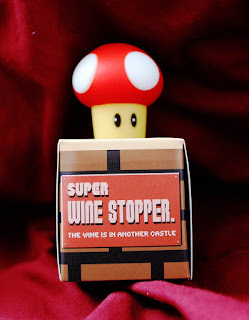 After that, we have another Nintendo kitchen item: a toadstool wine topper! This item is also kind of ridiculous, something I probably wouldn't buy, and more useful than it should be. I mean, the wine I buy is mostly twist-off, and there's rarely ever any left to go back in the fridge but...I just have to invest in more wine then, don't I? The last item is a something we've probably all seen before. Yep, it's a batman mug. Nothing too exciting unless glow in the dark is your thing. 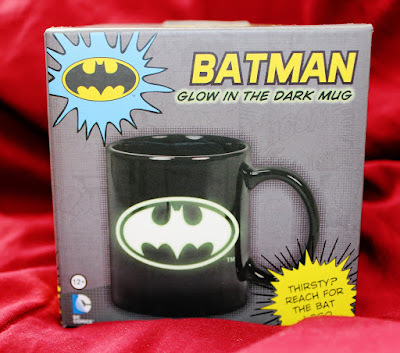 It's a basic mug, and while that's not the most creative item, it's still useful. It's a decent size and I for one can never have too many mugs. Plus it's Batman. Everyone loves Batman. I've received three Nerd Blocks (and the promo box) so far and am pleased with the variety and quality of the stuff they've sent. It's been everything from ALIEN Titans, Game of Thrones actions figures, Bob's Burgers Mad-libs, and Jem and the Holograms comics. Even the little stuff like Harry Potter Keychains, and Moe's Bar coasters are fun. I'd absolutely recommend Nerd Block. Next month's Nerd Block teases a Game of Thrones item, something from Batman V Superman, and the Karate Kid. I'm a little nervous to tell the truth. I have so much Game of Thrones stuff at this point I don't know what they could send me that I don't already have. Stay tuned next month and see if I get an overly expensive blind box double! I don't love Batman. But the rest of this is amazing. 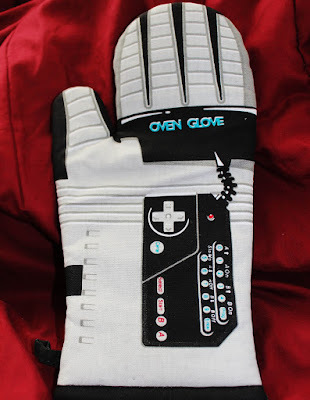 That oven mitt! !